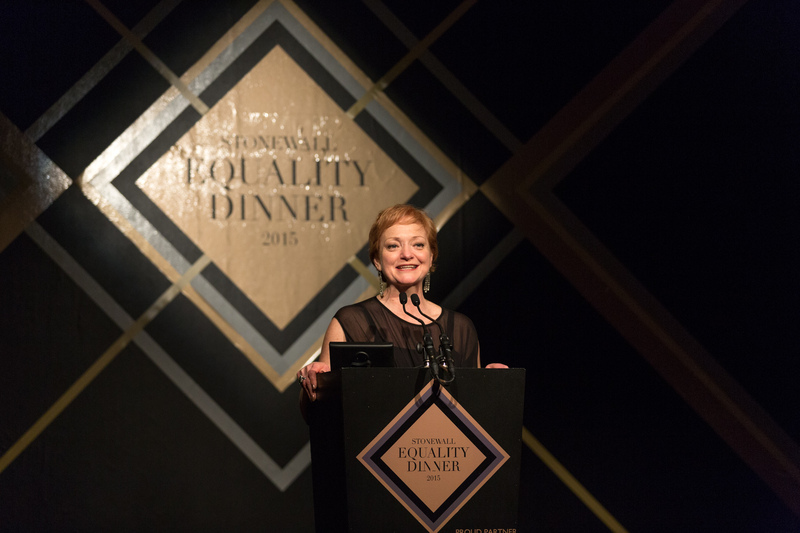 We're delighted to announce The Equality Dinner, supported by Aviva, raised an incredible £470,000 for Stonewall on Friday 27 March. Over 650 people joined us for the most successful Equality Dinner to date, which wouldn’t have been possible without our generous guests, along with our prize donors and sponsors. Highlights of the night included Reverend Richard Coles’ moving keynote speech in which he emphasised that while there are certainly legislative achievements to celebrate, there is still a lot to do to achieve social equality for LGBT people, as well as our Live Auction which featured a private dinner with Liz Hurley and Joan Collins, a mint condition 7” single signed by the Pet Shop Boys and Dusty Springfield, lunch with Lord Michael Cashman in the House of Commons, and a signed self-portrait of Sir Ian McKellen. Guests on the night included Graham Norton, Clare Balding, Marcus Collins, Robin Windsor, Alicya Eyo, Lord Alli, Stella Duffy, Jack Monroe and John Amaechi. Money raised from the event will support Stonewall’s work to go deeper into communities and help to improve the lives of lesbian, gay, bisexual and trans people.